New start up Kiwi Regional airlines has announced its first routes with a launch focus on Dunedin. KRA has always wanted to operate routes without direct competition from the national carrier, and with this route structure they have succeeded in that. Dunedin - Queenstown is a route that has only been offered by small regional operators in the past with 9 seat aircraft so the introduction of a 32 seat aircraft on double daily flights is a big jump. Dunedin - Nelson is a brand new route linking together two of the South Islands larger centres, a route that has never had a direct service. Nelson - Hamilton is a route that has previously been operated by both Origin Pacific and Air New Zealand. Despite being Dunedin centric in this initial schedule, the airline will base its crews in Hamilton. Jetstar look set to enter deeper into their head to head battle with Air New Zealand in New Zealand, announcing they will base a 5 strong fleet of Dash 8 Q300 aircraft in New Zealand to fly regional routes. In a period where Air New Zealand has downsized its regional flying and is reducing its regional fleet types, Sounds Air and Air Chathams are filling in the gaps left by Air New Zealand and new player Kiwi Regional Airlines has announced its intentions, this decision from Jetstar is certainly interesting. 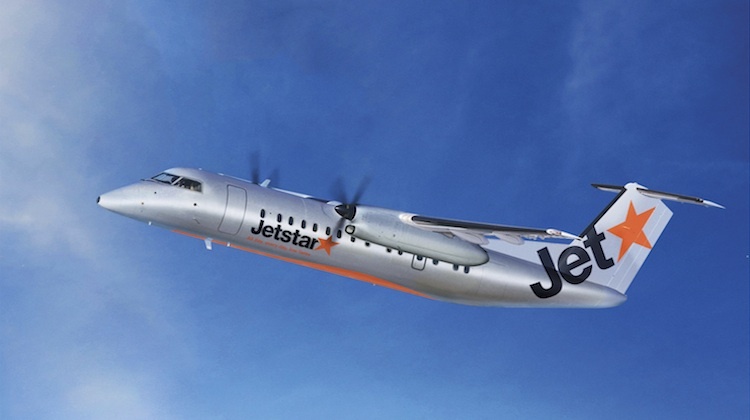 The five Q300s will come from Qantas Link subsidiary Eastern Australian Airlines who will operate the aircraft for Jetstar. Jetstar is still evaluating which routes it will fly the Q300s on from December and is seeking public feedback on proposed routes including Hamilton, Rotorua, New Plymouth, Napier, Palmerston North, Nelson and Invercargill. Jetstar made the announcement this morning in Auckland with Qantas CEO Alan Joyce in attendance as well as New Zealand Prime Minister John Key. One world alliance partners Qantas and American Airlines have announced a 'return to the past' with their recent joint launch. American Airlines will return to the LAX-SYD route after a 23 year absence while Qantas will return to the SYD-SFO route after a 4 year absence. American will operate daily on the pacific route with its Boeing 777-300ER aircraft. Qantas will initially launch SFO on peak days moving to 6x weekly in January 2016. They will utilise Boeing 747-400 aircraft freed up from the reduction of MEL/SYD-LAX flying which they will give over to AA.